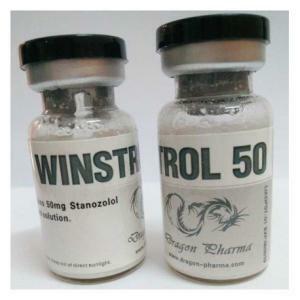 Anabolic and androgenic steroid, produced by Dragon Pharma in tablets (Winstrol Tabs) and injectable (Winstrol 50) form. The active ingredient – Stanozolol. The first Winstrol Tabs analogue was manufactured by Winthrop Laboratories in 1962. Chemically Stanozolol is a derivative of Testosterone. Originally developed for steroid use on animals, but after the FDA approval, it began to be applied in human beings, including for sport. 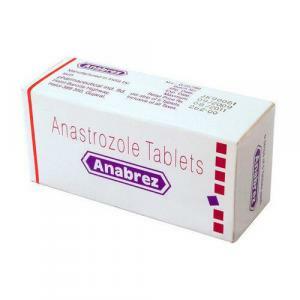 Although Stanozolol is an antagonist of progesterone, it does not prevent the effects of Nandrolone‘s progestogens. In medical use the drug is used for the treatment of angioedema, anemia, accelerating the recovery of patients after surgery, stimulation of hematopoiesis and appetite. Winstrol Tablets is included in the group of the safest steroids and is often used by female athletes. It has a high resistance to degradation in the liver (but this causes some toxicity of the drug) and bioavailability. Due to the fact that cases of counterfeit anabolic steroids, Dragon Pharma has introduced special protection for its drugs. New batch of goods have code printed under the protective layer labels, whereby the buyer can verify the originality of the product: it is necessary to enter numbers into a special box on the official website of the company. Relief of muscles. Stanozolol “draws” perfectly and highlights the muscle fibers. Winstrol Tablets are often used in bodybuilding at the final stages of preparation for the competition, as well as for drying cycles. Reduction of body fat. 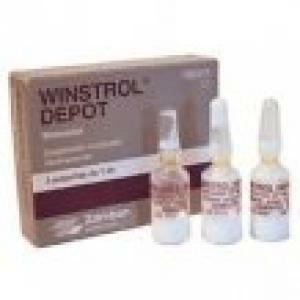 Winstrol Tablets admission encourages the use of fat cells in the body as an energy source. 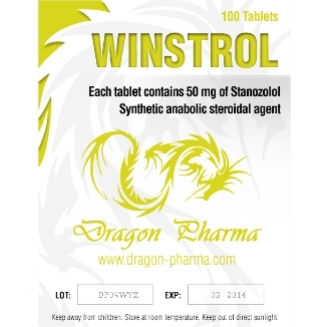 The active substance of Winstrol Tablets – Stanozolol is a methyl group alpha 17, to prevent its decay if taken orally, but it makes toxic for liver. Anabolic activity – 320% of testosterone, androgen – 30%. Not flavored with a duration of 8 hours. Separately, it is worth noting that the oral form is not more toxic than injection. 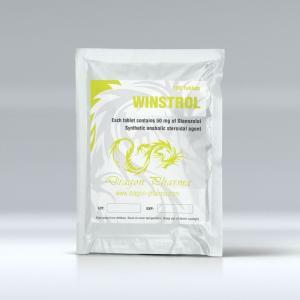 Therefore Winstrol Tablets are not inferior and in many cases superior to the ester analogs and water-based. Detection time for doping control – for about a year, which makes it impossible to use Winstrol Tablets by competing professional sportsmen. 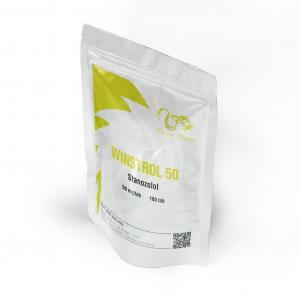 Winstrol Tablets solo cycle course gives the athlete a significant increase in power rates, rendering the muscle and vascularity. The most effective, Stanozolol shows in people with a moderate fat of the body and average weight. Stanozolol is often used by athletes as the only drug on the cycle. 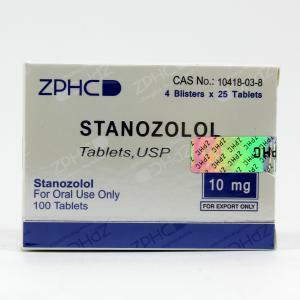 The recommended dosage of Stanozolol is a tablet of 30 mg. Representatives of sports-oriented endurance (boxers, wrestlers, athletes, skiers, etc. ), can restrict dosage to 10-20 milligrams daily. Cycle duration ranges from 5 weeks to two months. PCT begins 2-3 days after discontinuation of the drug (Clomid or Nolvadex is held). The maximum effect of taking Winstrol Tablets is observed in athletes who are using during cycles of sports nutrition, based on topography. How to take Winstrol Tablets for sale with other steroids? Combined cycle is built according to the sports purposes. 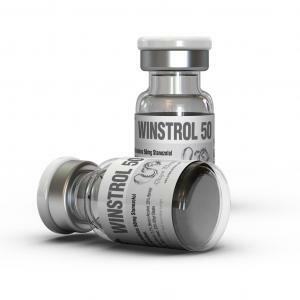 For a muscle mass set, Winstrol Tablets are taken in combination with strong androgenic drugs (such as Anadrol for sale, Testosterone for sale or Methandrostenolone for sale). 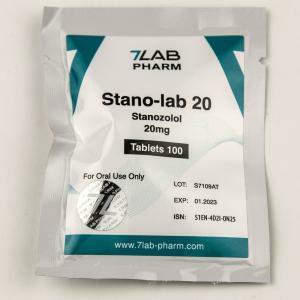 Stanozolol compensates the estrogenic effects of steroids and makes a balanced cycle. If the goal is losing weight, Winstrol Tablets works well with Trenbolone for sale – aromatizing androgen. Plus of Winstrol Tablets is the lack of estrogenic effects. But if exceeding dosage rate and duration of Winstrol Tablets, side effects may still occur. Most often it is ligament damage and pain in the joints (inexperienced athletes often “rush” at excessive training), rise in blood pressure, an increase in the level of bad cholesterol, androgenic effects (hair loss, suppression of natural testosterone, acne), myocardial hypertrophy, liver damage. All adverse reactions can be prevented, if at time to include in cycle PCT related drugs. Athletes talk about Winstrol Tablets as an excellent combination formulation. 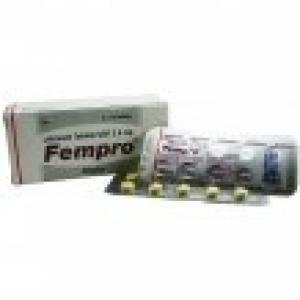 The steroid is combined with Testosterone, Nandrolone, Methandienone, Turinabol and other AAS. Reviews of Dragon Pharma Winstrol Tablets indicate the efficacy of the drug and a minimum of side effects. Occasionally there are complaints on problems with the ligaments and joints. Highly is evaluated the steroid’s ability to improve the quality of muscles, strength, endurance and appetite. Winstrol Tablets reviews by women report their safety at moderate doses. Minimum risk of side effects makes the steroid a staple in the arsenal of athletes. Masculinization and virilization observed in isolated cases and are a consequence of overdose. The steroid is one of the most popular AAS, used in the sport and is effective for both men and women.